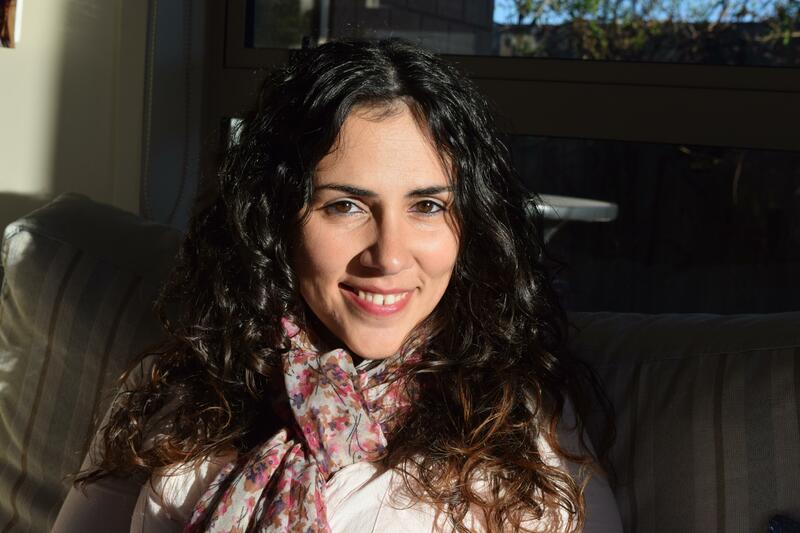 We are delighted to introduce Sara Taveira to our Online Therapy family, and this is her story. Sara is an independent clinical psychologist (Registered with the New Zealand Psychologist Board) joining our small group of therapists. Below is the interview with Sara to get to know her better. I started my University Degree initially wanting to become a forensic psychologist. My dream was to be a “Criminal Profiler”. However, in the first years, I was introduced to the multitude of psychology fields and it was with clinical psychology that I connected the most. I love life, people, smiles, a good laugh and positivity. Possibly, these are the things that motivated me to become a psychologist in the first place. That visceral curiosity about the other, the need to understand the person I am in a therapeutic relationship with, and help them if I can. With clinical psychology and psychotherapy, I can certainly do that. Where did you do your training and how did you register at the New Zealand Psychologist board? I completed my studies up to Masters level and psychologist certification in Lisbon, Portugal. In the European Union, the higher education is based on the “Bologna Process”, which in cooperation with all European countries, standardises higher education among all countries, thus strengthening quality assurance and facilitating the recognition of qualifications and periods of study. Therefore, the process to register at the New Zealand Psychologist Board (NZPB) was straightforward as they follow the guidelines from the UK as part of the Commonwealth of Nations. What work did you do in New Zealand and internationally? When I moved to New Zealand I started working for the District Health Board’s (DHB). I attended to patients experiencing moderate to severe mental health disorders. I have worked in many different Hospital Services: Maternal Mental health; Children, adolescents and families services; Eating disorders Specialized Services; Parental intervention and group therapy for children with behavioural disorders Specialized Services and Mental Health Crisis Team. I accepted a contract as a psychologist and psychotherapist with the ACC in 2015. At the ACC, I provided services for Sensitive Claims, doing psychological assessments to determine mental injury from sexual abuse trauma. In Portugal, I started my career as a university counsellor and providing psychological assessment services as a student. After completing my qualification, I gained experience in psychiatric hospitals, schools, private practice and psychosocial projects for children and adolescents with risk-taking behaviours, their families and the school community as a clinical psychologist. What key functions will you bring to Online Therapy? As a clinical psychologist, I am hoping to bring a new intervention approach – psychotherapy – to those who are not able to attend on-site consultations. If you are unable to get to an office, you can contact me online. The online space is where I can offer assistance for people physical problems and disability, illness, mobility, geographic area, language, difficulty in reconciling schedules and unable to get to an office. Psychotherapy addresses overall patterns, including chronic or recurring problems in a person’s life, and focuses on feelings and experience. It is an in-depth therapy modality on internal thoughts and feelings and core issues. The main objective is to achieve personal growth and to gain insight into the main areas of a person’s life. During my 12 years of experience, I have gained qualifications in different specific psychotherapy modalities which could benefit Online Therapy clients. These qualifications include EMDR, CBT, Mindfulness, ACT, CRT, CBT-E and FBT, evidence-based protocols for PTSD and complex trauma. I consider myself an eclectic psychologist, focused on adapting the intervention to each person. I don’t follow the trend of labelling with diagnostics and jargon but aim to understand each unique person I am working with, and then adapt working tools accordingly. Over the years of clinical practice, I have found that working with emotions is central to all processes when dealing with transformation and personal growth, which is the focal point in my therapy room. Why were you brought on board and what is your specialist areas? I have started my relationship with Online Therapy over a year ago, fuelled by my interest in telepsychology and helping patients who cannot attend face to face therapy. I am also keen to maintain my bilingual psychotherapy skills. As an eclectic psychologist, I have gained experience and interest over the years in conditions such as anxiety and stress, depression, eating disorders, trauma, relationships, feelings of emptiness, emotional difficulties, life changes adaptation difficulties, parental coaching and personal growth/coaching. I will start by saying that I may share DNA with cats since I love sunbathing. Food is another great passion as, in my culture, it means family reunion and connection. I get immense bliss when cooking for loved ones and putting smiles on their faces. Motherhood has been, without a doubt, the joy of all joys and a highway to happy moments, personal growth and constant self-reflection. Music provides the background soundtrack to my life. It allows me to personify emotions, it helps me to express myself and enables me to relate to others as well. My most recent personal goal is to learn how to play the guitar so that I can sing and play with my child. A good conversation undeniably makes my day and time fly. What else… well, I am a woman, a mother, a daughter, a sister, a wife, a friend, a colleague, a neighbour, a society member, a citizen of the world….